NetLogo 6 is now available with some useful new features such as the auto-completion of code and the option of collapsing procedures. However, there are a few problems and current users of BEEHAVE will need to do a small edit to the model before running BEEHAVE in the new NetLogo version 6. A major problem is also that BEEHAVE runs much slower in NetLogo 6, in our recent test it was four times slower than the Netlogo version 5.3.1. Additionally the “Undo” command does not work so beware! This means that we don’t currently recommend NetLogo 6 for the efficient use of BEEHAVE until some of these issues have been addressed. If you do want to use this new version, an automated conversion is available but you may get an error message. What you need to do is remove the “Video” button (which is no longer supported by NetLogo 6) and automated conversion should be successful. Click here for the new Netlogo 6 user manual and feature changes. We have just started a new collaborative project between the University of Exeter’s Environment and Sustainability Institute (ESI) and Cornwall Area of Outstanding Natural Beauty (AONB). This project will support and develop the AONB’s new pollinator conservation initiative and extend the real-world impact of our bee behaviour and population models in informing landscape-scale management recommendations. This is an excellent opportunity for us to provide a high profile case study to illustrate the range of potential applications for our bee models that simulate the behaviour, colony growth and survival of wild and managed pollinators in realistic landscapes. We will be building upon the previous success of BEEHAVE by utilising our recently published BEESCOUT model that simulates forage resources and bee landscape exploration, and the brand new Bumble-BEEHAVE model that simulates a population of multiple bumblebee colonies and species. The ESI is a cutting edge interdisciplinary institute that focuses on solutions to the problems of environmental change and is based at the University of Exeter’s Penryn Campus in Cornwall, UK. Cornwall AONB covers nearly a third of Cornwall with nearly three quarters of it agricultural land, affording a unique opportunity to specifically target pollinator-friendly management. We are collaborating with Cornwall AONB to achieve their “Investing in Nature” policies outlined in their 2016-2021 Management Plan, by using our set of bee models as decision support tools and by providing the expertise to collaboratively, prioritise land areas which may have the biggest impact for wild pollinators. Our aim is to extend the uses and impact of Bumble-BEEHAVE and BEESCOUT by investigating how potential landscape management (such as Countryside Stewardship Schemes for example) could affect the resources available to pollinators which effect their colony survival. We will then be able to make collaborative management recommendations with Cornwall AONB to enhance the Cornish landscape for bees, other pollinators, biodiversity conservation overall. 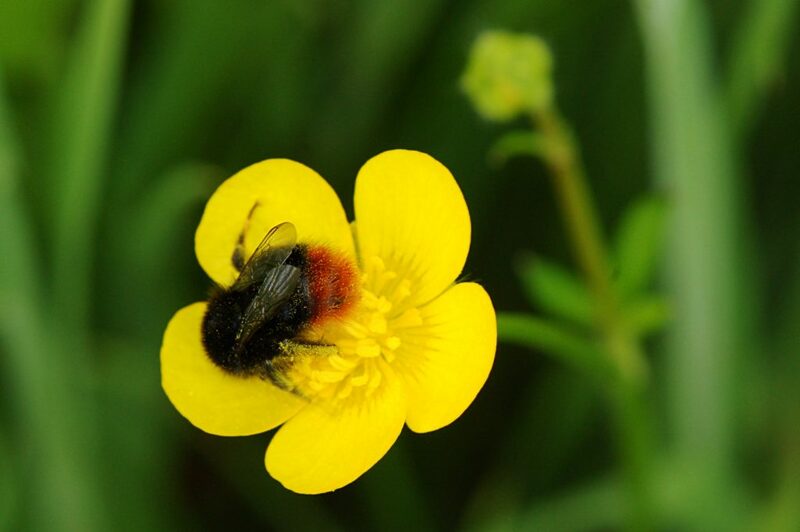 Dr Grace Twiston-Davies is the NERC Knowledge Exchange Researcher on the project “Using bee models to support decision-making in the implementation of the National Pollinator Strategy in Cornwall”. She is a Postdoctoral Research Associate at the University of Exeter’s Environment and Sustainability Institute (ESI) and has previously worked on the Bumble-BEEHAVE model as part of the BBSRC funded project “An integrated model for predicting bumblebee population success and pollination services in agro-ecosystems”. Our latest model BEESCOUT (download here) has recently been showcased at the International Congress of Entomology and published in the Journal Ecological Modelling. 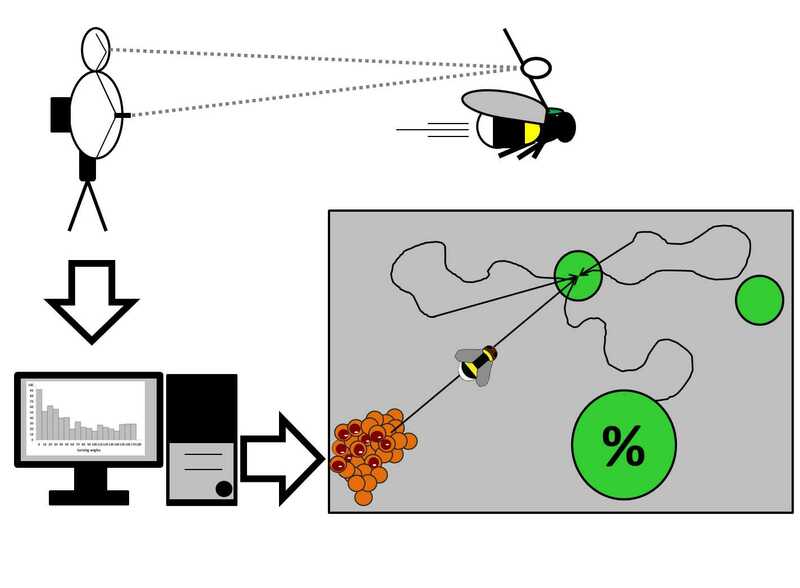 BEESCOUT predicts landscape exploration behaviour of bumblebees and honeybees and is based on empirical movement data of bees tracked by harmonic radar (Osborne et al. 2013). BEESCOUT is a significant step towards modelling the multiple stressors that operate at multiple scales that are causing worldwide pollinator declines. It is difficult and expensive to gather empirical data on landscape scale movement of pollinators. With BEESCOUT, we can estimate the probability of bees detecting food sources far beyond the scope of previous data and begin to understand what leads to colony failure. BEESCOUT will further enhance the use of the BEEHAVE honeybee model by allowing researchers to setup realistic landscapes and feed these into the BEEHAVE colony model. 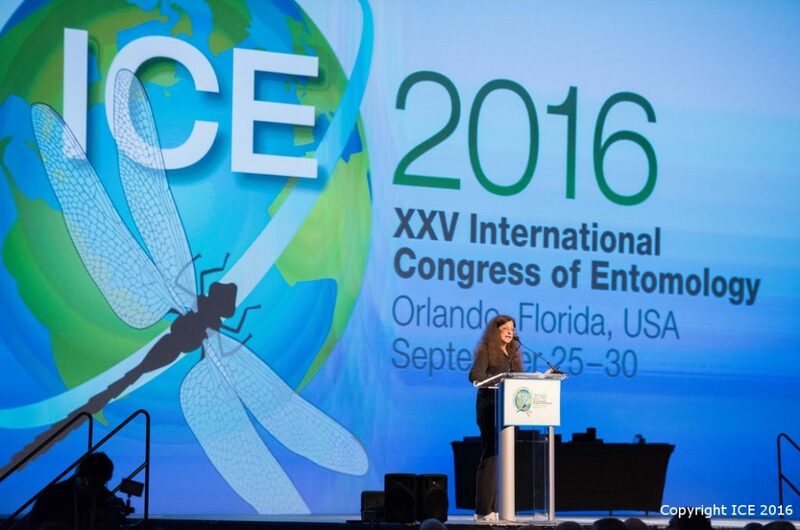 Model developer Dr Matthias Becher showcased some of the applications of BEESCOUT at the International Congress of Entomology where thousands of invertebrate scientists from over 100 countries gathered to share their recent scientific findings in Orlando, Florida USA. Matthias presented his research in the symposium for Modelling the movement of arthropods in agricultural landscapes hosted by Hazel Parry, Cate Paull and Nancy Schellhorn from CSIRO. He showed how the biological and behavioural differences between honeybees and bumblebees can drastically affect their ability to find food sources. Bumblebees may be more susceptible to changes in food source distribution and probability of detection because they have small colonies and no sophisticated recruitment unlike honeybees with large colonies and recruitment to specific food sources via waggle dances. This may be an important consideration for pollinator targeted conservation and when assessing the impact of landscape change on pollinator communities. 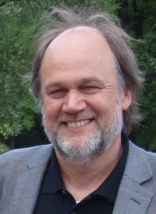 Prof. Dr. Volker Grimm is a world renowned Scientist at the Department of Ecological Modelling at the Helmholtz Centre for Environmental Research–UFZ in Leipzig, Germany, and is Professor for Theoretical Ecology at the University of Potsdam. With over 14,000 citations (Google Scholar) of more than 200 publications, he is a world leading expert on ecological modelling and has co-authored both the first monograph and first textbook on individual-based/agent-based modelling. Volker has worked on a plethora of different model systems and species, but BEEHAVE may have been the most ambitious and complex modelling project that he has been involved in so far. What: Volker’s main research focus is on optimising model development, communication, and validation. He has been involved in modelling a broad range of plant and animal populations and communities. Using agent-based models, he tries to link behavior to population and community dynamics and to develop a mechanistic basis for resilience theory. Where: Department of Ecological Modelling at UFZ in Leipzig, Germany. What: He has been involved in the review of current honeybee models that was the basis of the BEEHAVE project, and provided internal reviews and expert advice on the development, implementation, testing, and application of BEEHAVE. In a PhD project carried out in his research group by Juliane Horn, the effect of forage availability in artificial and real landscapes was explored using BEEHAVE. Where: Department of Ecological Modelling at UFZ in collaboration with the Environment and Sustainability Institute (ESI) of the University of Exeter UK. Prof. Dr. Volker Grimm is Biologist and Physicist and has worked at the Department of Ecological Modelling at the Helmholtz Centre for Environmental Research–UFZ in Leipzig, Germany since 1992, and he is a Professor for Theoretical Ecology at the University of Potsdam. Volker Grimm has a PhD in Physics and a Diploma Degree in both Biology and Physics from the University of Marburg, Germany. Fabrice studies the many stressors that bees face in human-dominated landscapes. These include pesticide exposures, lack of flower resources, parasites, pathogens and climate changes. He is particularly interested in the adaptive responses of bees to those stressors. Currently focusing on honeybees, he uses BEEHAVE to predict colony traits such as colony survival rate and honey harvests in a variety of environmental conditions. Through this work his aim is to understand how different stressors act in combination and together to lead to colony failure. Calibrate BEEHAVE with empirical data. What: Fabrice worked for two-years as Postdoctoral researcher in France. Here he developed a method to calibrate the BEEHAVE model. He compared model predictions and empirical observations (the ECOBEE monitoring in central-western France) and utilised these data on landscape, weather and beekeeping practices to apply the predictions of BEEHAVE. Where: Pollination and Bee Ecology lab (INRA, of Avignon, France) in collaboration with the Environment and Sustainability Institute (ESI) at University of Exeter. Simulate multiple stressors in BEEHAVE. What: He also simulated multiple stresses with BEEHAVE in order to identify the combination “at risk” that lead to colony failure. 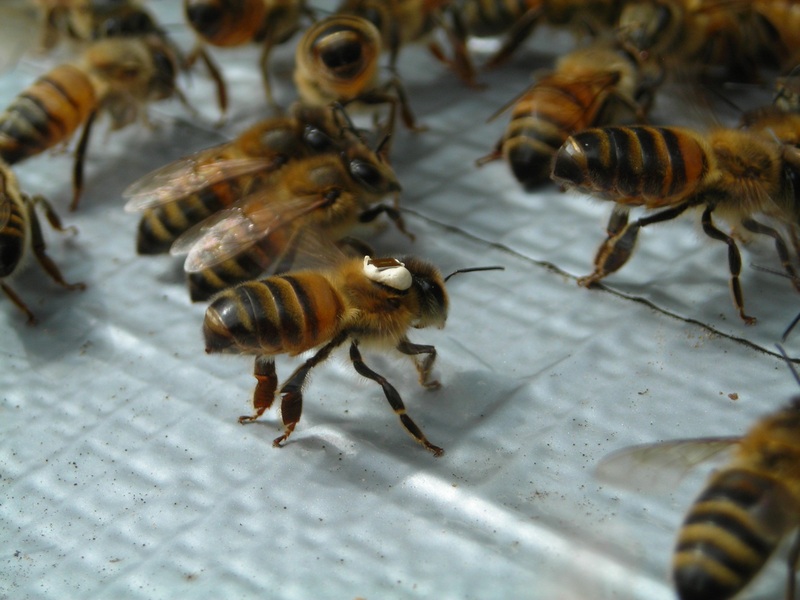 In BEEHAVE, he implement, all the stresses that occur in the bee colony environment (using the example of the ECOBEE monitoring in France), and assessed which combination of stressors threaten the colonies and at which thresholds. A particular application was intended for the risk assessment of a new predator of bees in France, the yellow-legged hornet Vespa velutina. Where: Pollination and Bee Ecology lab (INRA of Avignon, France) in collaboration with the ESI at the University of Exeter. Conduct landscape-scale simulations of BEEHAVE. What: Currently in his new Postdoctoral position in he is managing a volunteer-based survey of honeybee colonies, to enable large-scale recording of bee colony traits, environmental conditions and the occurrence of parasites and pathogens to provide large-scale predictions. Starting this approach in Argentina, he is particularly interested in the national climate gradient to assess the climate dependency of combined stresses effects on bee colony failure. Use BEEHAVE to predict crop pollination service. What: Fabrice is also developing a new BEEHAVE application assessing the number of bee colonies to place in crop to insure pollination service. Where: Argentina at IRNAD-UNRN, in collaboration with INRA (France). What: To facilitate the used of BEEHAVE, he is working on a R-package “Beehave” to run BEEHAVE (created with NetLogo) with R, i.e. the more common statistical free open-source software. This R-package “Beehave” will aim to simulate a large number of BEEHAVE simulations, with different functions enable to calibrate the model (input of virtual or real landscape maps, weathers, and beekeeping practices) and to simulate multiple stresses. 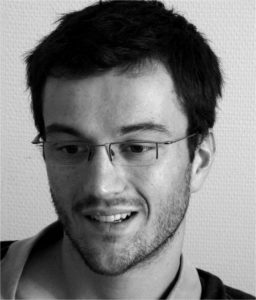 Dr. Fabrice Requier is an ecologist and works currently in a postdoctoral position in Argentina at IRNAD and UNRN. Using both experimental data and BEEHAVE, his research focuses on the effects of global environmental change on bees. Fabrice has a PhD in Ecology from the Centre d’Etudes Biologiques de Chizé – and INRA Le Magneraud (France) and an MSc in Biodiversity, Ecotoxicology and Ecosystems and a BSc in Biology from the University of Metz (France). In the last week of May 2016, the BEEHAVE group had a great opportunity to display our models during the Environment and Sustainability Institute (ESI) showcase. This was a two-day review of representative projects conducted by ESI staff encompassing the range of high impact and locally relevant research engaging Cornish stakeholders. The event was both an important evaluation of ESI and a chance for everyone working at the institute to learn more about the projects of other research groups. Juliet, Matthias, and Grace presented the models to the independent external reviewer, Professor Dame Georgina Mace of University College London, with a live demonstration of BEEHAVE and BEESCOUT and an impact video containing messages from the various stakeholders . Additionally, a room was set aside for the group to demonstrate BEEHAVE, BEESCOUT, and BEEMAPP to other researchers in ESI. The models were displayed on large screens with the whole group on hand to run BEEHAVE through different scenarios of Varroa infestation (a disease carrying mite) and beekeeping interventions and to discuss the project and its applications to science and agriculture. The showcase was a huge success and very enjoyable. The models are perfect for these occasions; they are easy to use and understand, as anyone can run their own scenarios through the options on the interface tab. Everybody had a lot of fun and asked some very interesting questions. 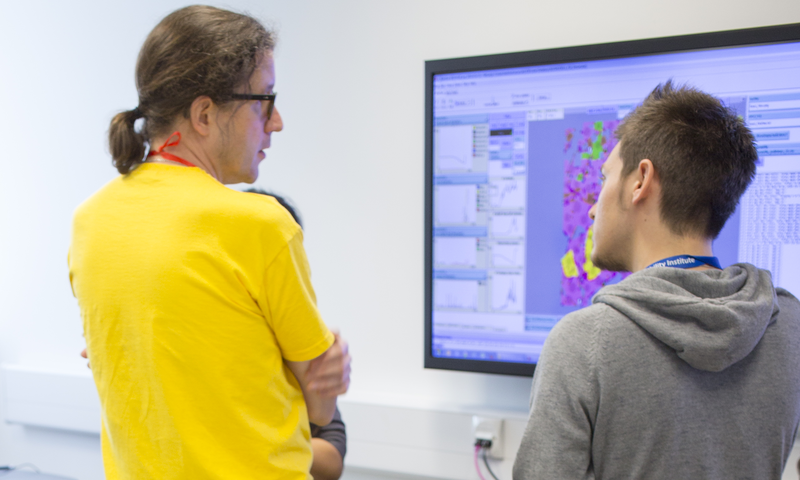 It was an excellent opportunity for everyone to mingle and discuss their research with each other and for us to introduce the models to so many new people. Tim Penny is a Research Assistant on the BBSRC funded project “An integrated model for Predicting bumblebee population success and pollination services in agro-Ecosystems”. He has an MSc in Ecology, Evolution and Conservation from Imperial College London and a BSc in Animal Behaviour from the University of Sheffield.